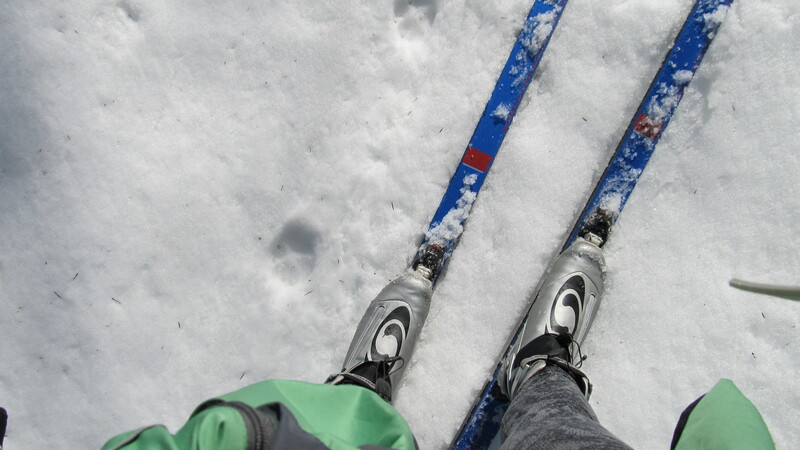 Although the Pittsburg Ridge Runners club groomed until April 15th this year, I didn’t see anyone pass the office on sled or otherwise for days. 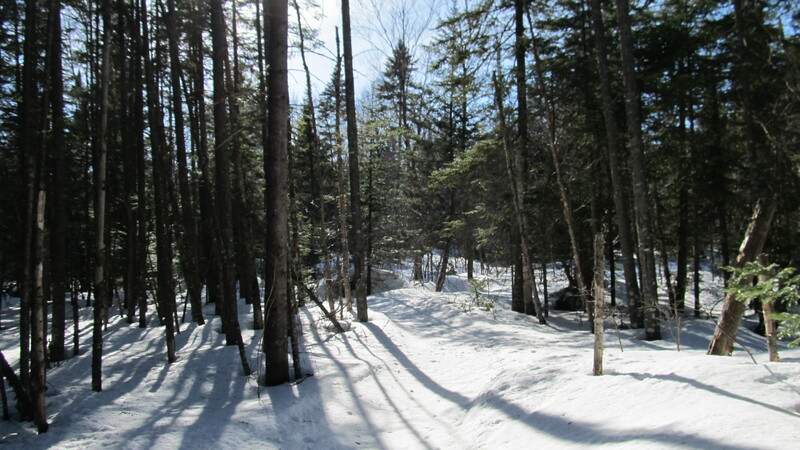 While it is permissible to ski on the trails during winter, it gets hectic on weekends so I usually avoid it. 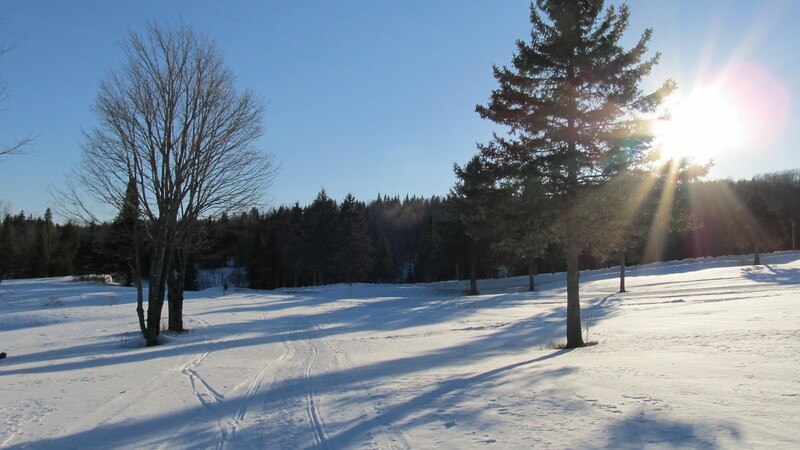 But in the spring when the sun is shining and days are longer, I cross-country ski on the trails and don’t have to wear two pairs of gloves or turn back at 3:30. Next year I’ll plan a destination ski to Buck Rub for lunch. We have just 8 trees tapped in the yard, six of them near the foundation of a sugar shack that was built as part of the farm that existed before Ramblewood. 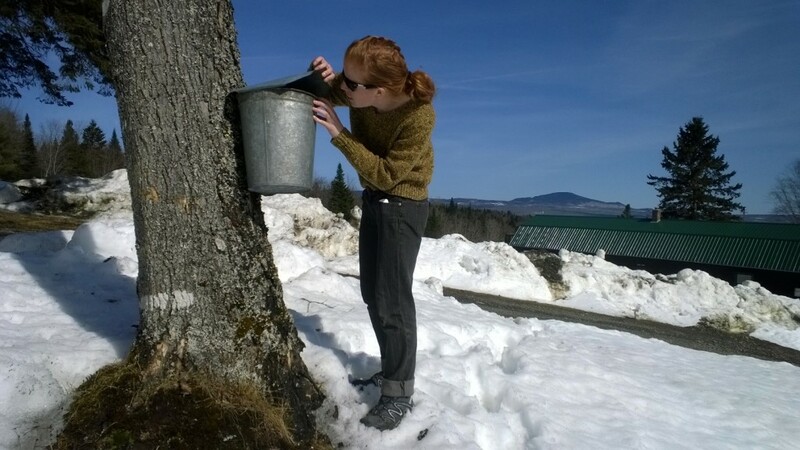 Next year we’ll start earlier, but even if you never tapped a tree or tasted sap you can still visit April’s Maple, which a commercial sugarhouse in Canaan VT (35 minutes away). They host an annual Pig in a Pancake mud run (with maple prizes) and a maple breakfast with pulled pork, maple butter, and live fiddle music the first Sunday in May. Although my sister and I moved to Pittsburg in part because we love the property, we rarely get to really enjoy our waterfront. I’m planning a staycation for myself in the one of our lakeside cabins soon so I can sit on the porch, watch the ice break up on the First Connecticut, and finish some books I started over the winter. I like to stay near the road so I can wave at the two cars that pass and be reminded that humanity does, in fact, exist. Turns out, clothing doesn’t always make it through the winter and I can’t find the time or motivation to re-stock while it’s still 20 below. The outlets in North Conway and Tilton have serious sales in April that I am more than happy to take advantage of, and Tilton is a good half-way stop if you’re driving back to Boston. While winter dumps most of the snow, it’s too powdery to form the most majestic snow sculptures. 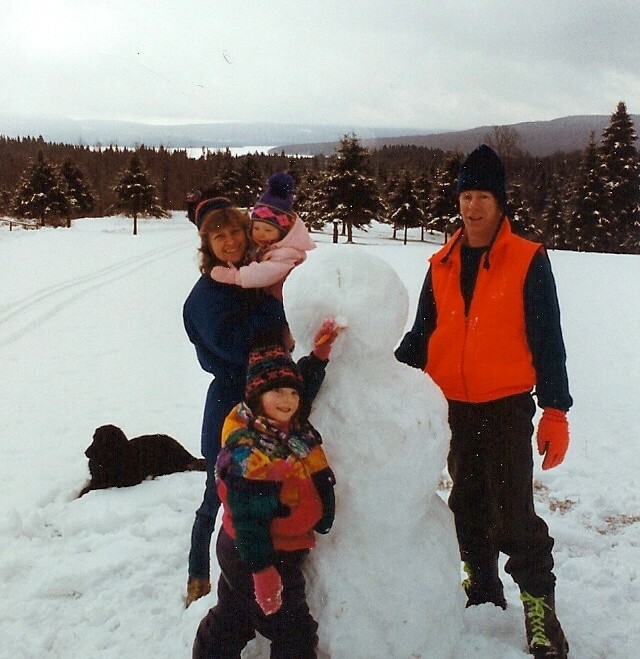 Although I am always trying to recreate a baby buffalo (affectionately known as “Bill”) from 2005 and a life-sized VW bug created Easter 2005, I have to wait until April for the snow to warm up enough so it will stick together enough. Filling a spray bottle with water and food coloring can be a game-changer if you want even more freedom of expression. In the meantime, I’ll hope to see you up here in the spring sometime: I’ll need help emptying the sap buckets.